Tropical Holiday is a bright and colourful abstract beach scene created using acrylic paint and art pens. Cocktails and lazy days sunbathing or sitting under the shade of palm trees inspired this beautiful design. 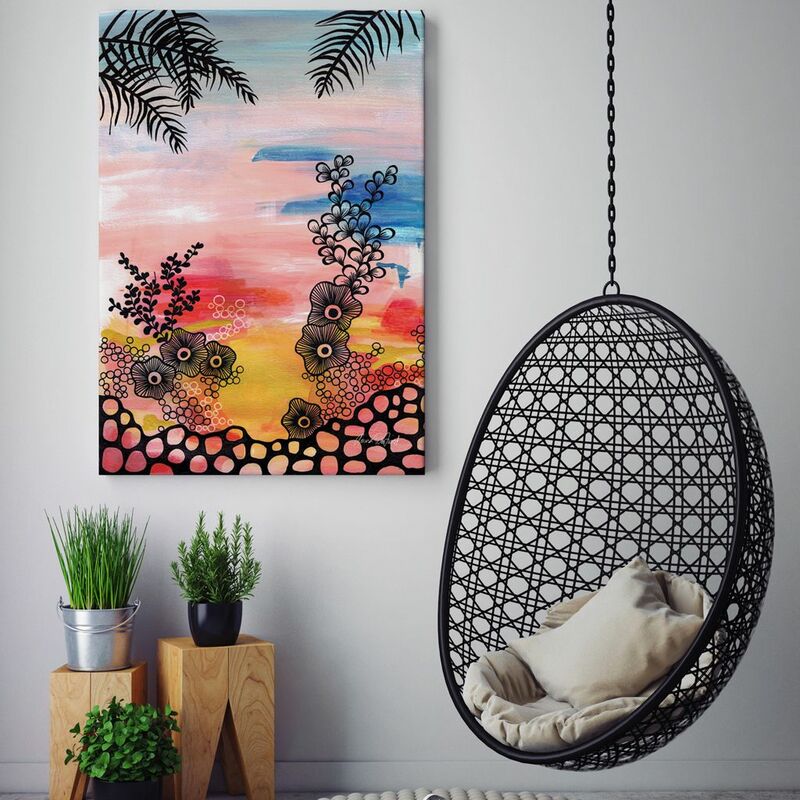 This high quality canvas print will bring in the sunshine to your home or office space and make the perfect gift for anyone who loves to travel to exotic places.